Welcome to the RHDJapan Blogspot and Happy Holidays! As we close in on the last couple of months for 2017 one of the biggest days of celebration is the annual Nismo Festival at Fuji Speedway!! This year marks the 20th Anniversary of the event and it is sure to be a very special one! 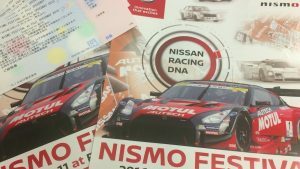 In the Holiday Spirit we will be offering some FREEBIE tickets to the biggest NISMO fans traveling from across the globe to make the journey to Fuji Speedway! These will be offered exclusively through the RHDJapan Facebook Page. 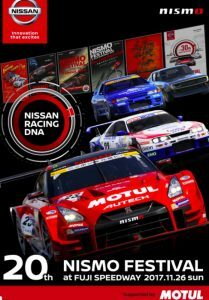 6% discount on the whole NISMO lineup!